Lemon and mint form a great pair and both make a perfect drink when combined. What would happen if I add another cool ingredient to it? 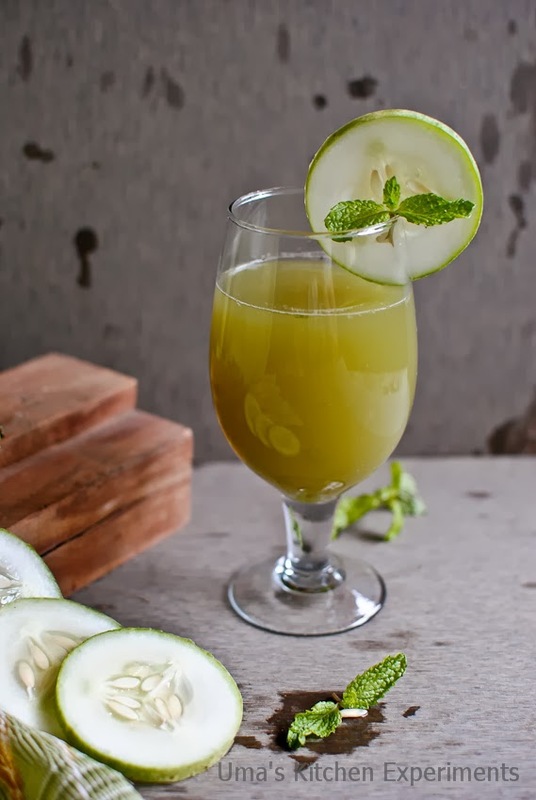 Being a season of summer fruits, I decided to make few drinks and this time I add cucumber to this drink to make it one of the perfect summer drinks. 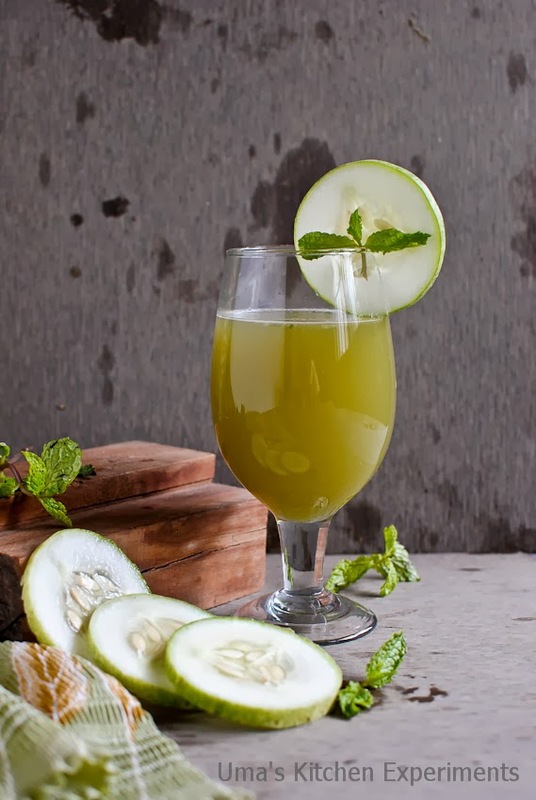 All you need is few slices of cucumber, mint leaves, lemon juice and few minutes to prepare it. These ingredients blend well to make a perfect drink when ice cubes are added. 1) Peel the skin of cucumber and remove the seeds from it. 2) In a blender, first add fresh mint leaves and cucumber and grind it to fine paste. 3) Add a cup of water and blend again. 4) Strain, add sugar and lemon juice. Mix well and adjust the sugar and water. 1) Add ice cubes and adjust the water quantity as per your personal preference. wow such an excellent clicks Uma... It looks very refreshing and I feel to take the glass from screen now...;) Great one.. 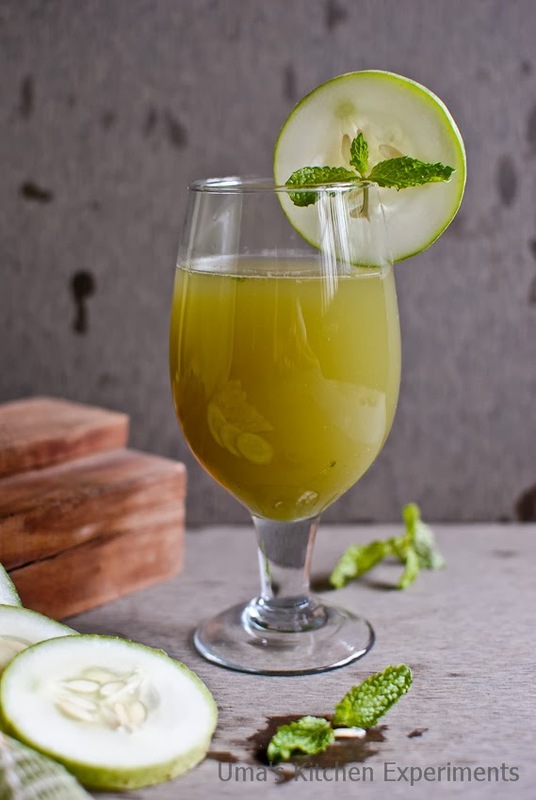 Delicious and refreshing juice....... Love the clicks!! Very refreshing... I have the same in draft... Killing clicks.. 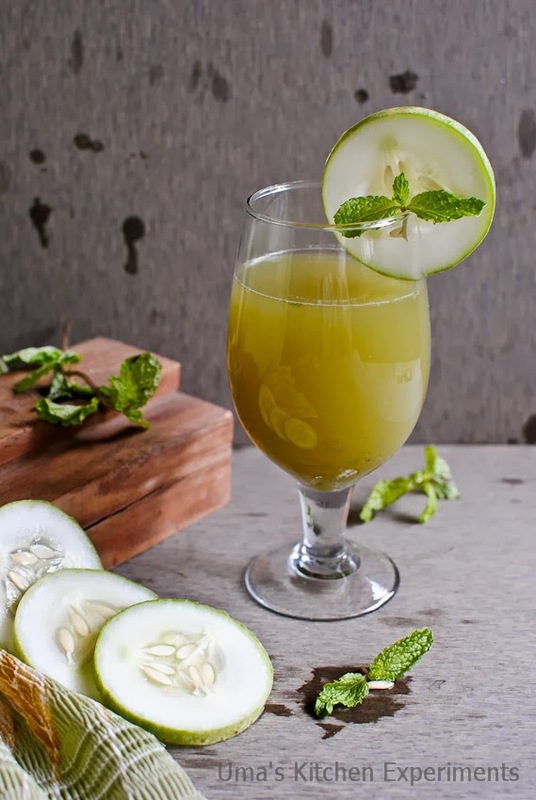 Refreshing and lovely looking cucumber drink.